Here is the Begg Knives Mini Glimpse. 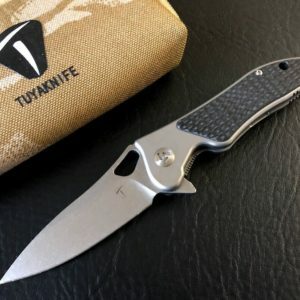 This knife features bead blast Titanium scales with carbon fiber inserts. The blade is made from satin CPM-S35VN that rides on a ceramic ball bearing system. 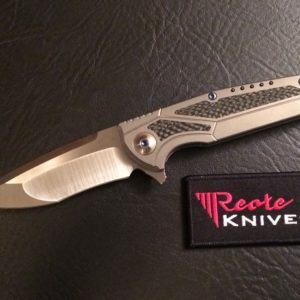 This knife is designed by Todd Begg and is produced by Reate Knives.